Thanks for visiting Corky's Kitchen and Bakery. We'd love to have your feedback! Great combo of ingredients and wrapped in fantastic cheese bread....a taste sensation inside and out!!! Loved the delicious avocados on top of a huge 3-egg omelette with home fries (slices) and English muffin with jam. Very tasty salad. Lods of turkey and ham. The crust and gravy really make this dish. Along with the tasty Turkey and plentiful vegetables. It's always one of my go-tos. I always have this when at Corkys for breakfast!!! A little bit above Marie Calendars. Going to Corky's in Fontana for dinner tonight. We have a special needs sensory sensitive autistic amazing little girl whose diet consists of a pureed smorgasbord of solids. 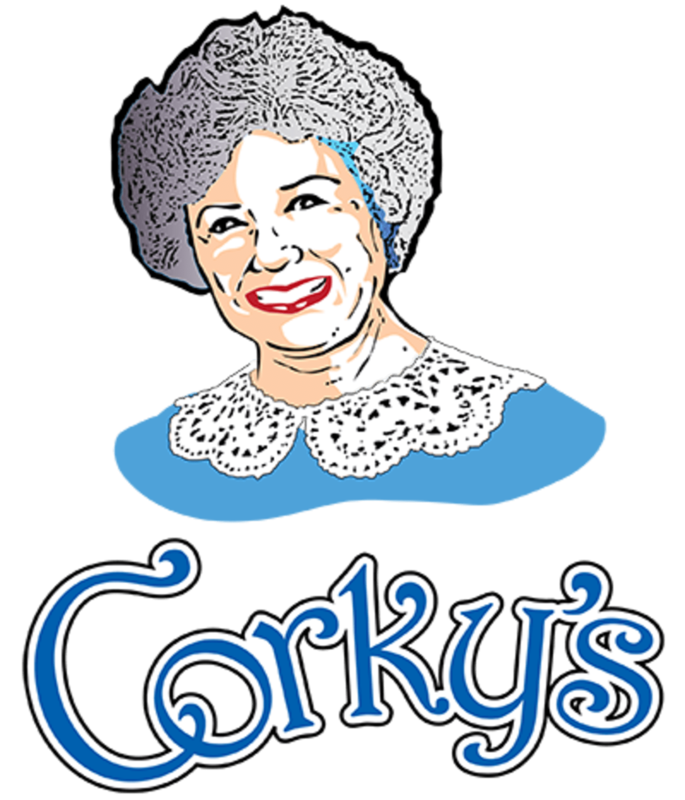 We know she'll be able to tolerate this dish, so your reviews have really helped us to choose Corky's for dinner. Everything is delicious. The veggies are cooked in too much butter though. A great breakfast choice! I have only been there once as I was visiting in California. But I will definitely go here again. And, the sweet tea is real sweet tea like we have in the South. I'm a big guy who can put away a cheeseburger, often ordering a small one on the side when I order a combo meal at a fast food place. The Messina burger has made me tap out twice, it is massive and soooo good! Good pumpkin pie. The spices were just right! The best No Sugar Added Coconut Cream I have had.